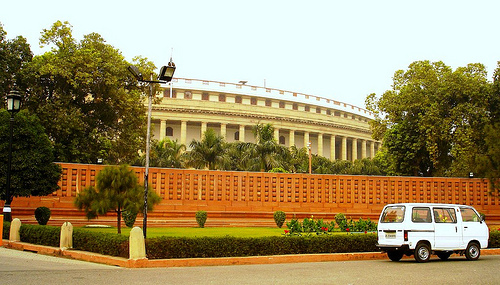 It is raining debates and discussions in the parliament since the Monsoon Session of the Rajya Sabha rolled off. The hottest topic so far has been the upcoming Commonwealth Games 2010 and price hike. The opposition has built strong arguments around CWG and the ongoing constructions have flushed away many a foundations of the UPA Government. Adding to this, what seems like the voice of the ‘aam aadmi’ is the declaration of the Congrees’ own Mr. Mani Shankar Aiyar that he would be happy if the “Games are spoilt”. Coming out of the Monsoon Session, Mr. Aiyar told the media, “I am very happy with the rains, firstly because it will ensure a good agriculture for the country and secondly because it will ensure that the Commonwealth Games are spoilt”. Mr. Mani Shankar Aiyar seems to have given the Monsoon a bigger responsibility of putting the wrong doers to task -to spoil the CWG and punish the culprits who took up the initiative neglecting social development and several environmental of what may be the worst colonial hangover. The age old struggles of the Indian farmers who live on the mercy of the monsoon has now entered the urban arena. It will be easier for many decision makers of the state and nation to finally understand the name of the game and the fight to win the favours of the Monsoon. While the House heats up to the ongoing debates, and the ruling party makes attempt to make it more productive, the city outside slogs under the endless construction works as the countdown for CWG 2010 comes closer. Opposition party spokesperson Prakash Javadekar also shared his concerns with reporters outside parliament, “It is sad the way the projects have been delayed, pushing the expenditure up. Even the preparation is not upto the mark and concerns are being raised internationally”. It is now known that several projects including the CP Parking lots will not meet the Games deadline. All the three multi-level parking lot projects at Kasturba Gandhi Marg, Baba Khadak Singh Marg and Shivaji Stadium will not be ready during CWG 2010. According to the New Delhi Municipal Council (NDMC), only three of the nine subways in CP will be ready for the Games. Media has been raising concerns over sinking ranges, flooded warm-up zones, leaking ceilings, bursting water-pipes and seepage everywhere. With just less than 70 days to go for the Games’ opening ceremony on October 3, the full-bore shooting range at Kadarpur in Gurgaon, an official Games venue, has “collapsed”. Every year when the monsoon strikes Delhi, the city’s only river body get cleansed and reclaims its encroached territories. This year the Games village constructed on the floodplains of Yamuna will be one of such territory the river will try to reclaim. A fresh flow of debate and concerns could well be raised on this issue for the city’s future and fortune rather than just this one time sport event. And even as we discuss this, the Delhiites are being prepared to welcome the CWG with much dignity and show. One such drill worth mentioning is the crash course in English and etiquette for the city’s bus crew. An English language course in basic words and expressions is being conducted through a colourful booklet, complete with pictures and expressions like ‘Any problem sir?’ Have a good day’ and ‘You are welcome’ all with their meanings in Hindi transcribed underneath. The booklet has been distributed among the 2,500 Delhi Transport Corporation (DTC) drivers and conductors who will be ferrying the athletes and tourists to the various Games venues. A special fleet of 574 air-conditioned buses is being deploying for the purpose. Wonder if the bus crew ever raised the question in “hindi” why they were only taught and polished now, when such etiquette is an essential part of their job. Hope when some of them will raise the question, to which an answer in “english” might very well be expected. It is sure going to be one big fat Indian wedding of east-west. With little time left at hand, all one can do is to keep fingers crossed and say a little prayer for the bridegroom to be ready on time and not to have a Runaway Bride!! !